Tom is internationally recognized as a pianist of outstanding artistry and versatility, equally in demand as soloist and chamber musician. He studied at the Guildhall School of Music and Drama, where he held a postgraduate fellowship, and at King’s College, Cambridge, where he gained a double first in music. 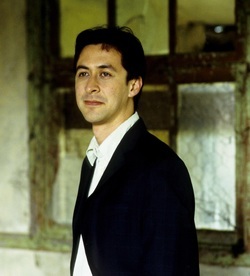 Making his London concerto debut at the age of 13, Tom has appeared in a wide-ranging concerto repertoire of over 30 major works with many of the world’s leading orchestras. He features regularly on BBC Radio 3 and has made multiple appearances at the Proms. The Strad magazine described him as “mercurially brilliant”.